When you launch a business or even when you’ve been running one for a while, it is important to recognize that it does not exist in a vacuum. Unless you have come up with a truly unique concept, it will be part of a much larger market. The other businesses in the market are your competition. Analyzing the competition is an important part of formulating your own marketing and growth strategies. You need to be able to see what they did right and what they did wrong, how you can avoid their mistakes and go above and beyond their successes, and what you can do differently to stand out. In fact you shouldn’t even start a business unless you have the data to prove it can be a success, and that comes from looking at who’s already in the market. This not only applies to offline businesses or your core business strategy, but also your online endeavours. One of the first steps of Search Engine Optimization is analyzing similar websites and looking at who is ranking in the search results. This involves direct competitors (for example if you sell sports shoes, then other sports shoe sellers) but also websites that rank for terms like “sports shoes” even if they aren’t selling them. Expert SEO companies can help you gather and make sense of this data, but in general it involves looking at the competition’s content, which keywords they are targeting and how, and where they’re getting their backlinks from. 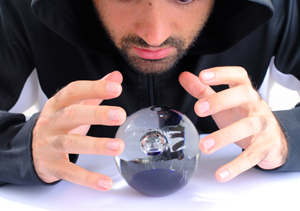 A reasonable prediction can then be made about how successful you can be by targeting the same or similar keywords. There are many tools that can help with this process. You can also get valuable information about the latest trends in your niche by monitoring how customers interact with your competition’s social media profiles. Is a particular product hot right now, with a lot of discussion and hashtags on Twitter? Is everyone tagging their friends in a certain post on Facebook? How can you replicate this or tap in to the existing buzz? More broadly you can learn about trends by using tools like Google Trends. While this is not strictly a business tool it lets you know the most popular topics in specific countries around the world based on how many people are searching about them. If you see anything related to your products or niche you should be able to tap in to this with social media or blog postings. You can also enter a specific keyword to learn about its historic popularity, as well as related search terms and demographics. This can be very useful when compiling a list of keywords to target with your site. Google Alerts can also be used to monitor the competition as well as keywords or topics. All you have to do is enter a phrase and you will be sent an alert whenever that phrase is used online. If using to keep tabs on competitors it is a great way to get insight in to what customers and others are saying about them. You may even want to use this for your own name or business/website name. Get the articles by email! Copyright © 2016 Web Marketing Army.